Trunk or Treat at church was this past Sunday. Thank goodness the storm held out until after the event. 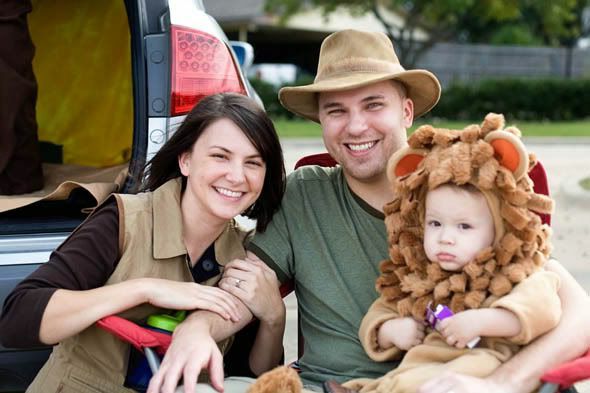 This year Ethan was a lion and Casey and I were safari guides. I shouldn't have worried about Ethan pulling the head piece off his costume...he didn't give it a second thought. 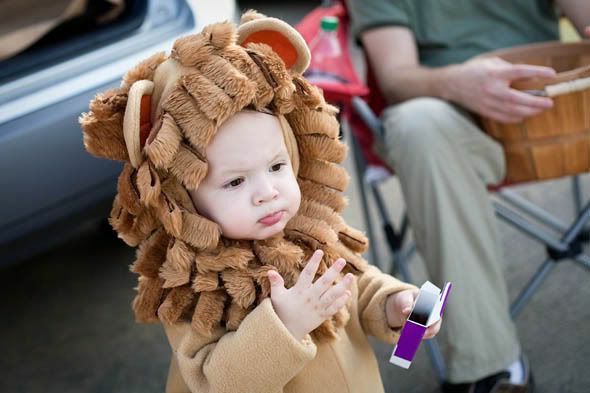 He had the best time handing out candy to the trunk or treaters. 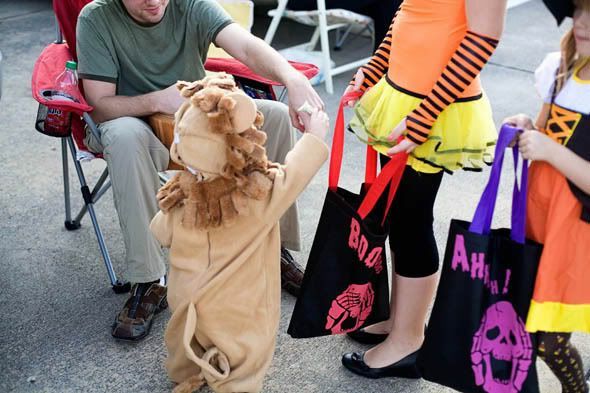 He would put a piece of candy in a kid's sack and then squeal and clap his hands. It was a fun game to him and he loved it. 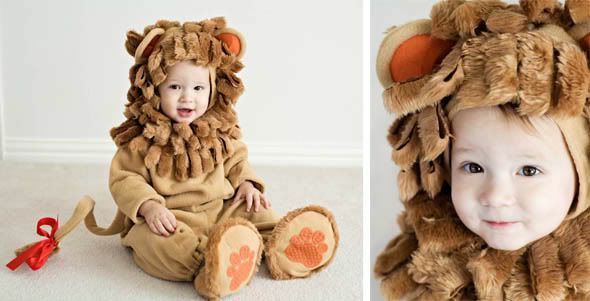 Such a sweet and precious little lion! Of course, he had no idea what was inside the candy wrappers and he didn't seem the least bit curious about that. He just liked passing it out. So he munched on his raisins without a clue as to what he could have been eating! Next year will be different! These first two pictures are at home in his costume and the rest are up at church at the event. Again, a few more pictures are in the online gallery. I love Ethan in that costume!! So cute! I thought he looked cute, but do you know who went on and on to me about how cute Ethan looked as a lion?- Cody! Adorable! 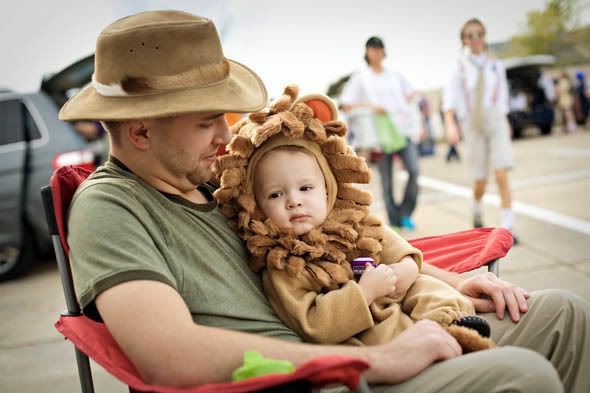 Great idea on the safari theme. Wish we could have been there. I don't think we would have had much luck with Ashton and his monkey costume - he screams like he's being tortured each time we put it on him! Did you make it this year? It is awesome! I feel bad we missed it, but aren't much in a costume place.